We´re proud to introduce the next step in our way of handling your demand of fuel delivery. The CFC Unit is a fill plate replacement unit for existing aftermarket fuel cells from ATL, Fuel Safe etc with a intergrated fuel surge tank with the ability to mount single or dual high flow fuel pumps within the fuel cell. Let us explain what we have made and how it works. We take a step of innovation thanks to our customers demand. We´re proud to introduce the next step in our way of handling your demand of fuel delivery. We´ve put our hearts into making this the lighest fuel cell surge tank to this day and with the simplicity our customers demanded. To take the advantage of our best-selling Fuel Surge Tank we integrated our well proved Swirl Pot function into the Nuke Performance CFC Unit and made it possible to go with single or dual setup with popular high performing fuel pumps such as Deatschwerk DW400 and Walbro GST 450 / 520 / 525. The best of two worlds, the security of the Fuel Cell and the functionality of the Fuel Surge Tank / Swirl Pot. 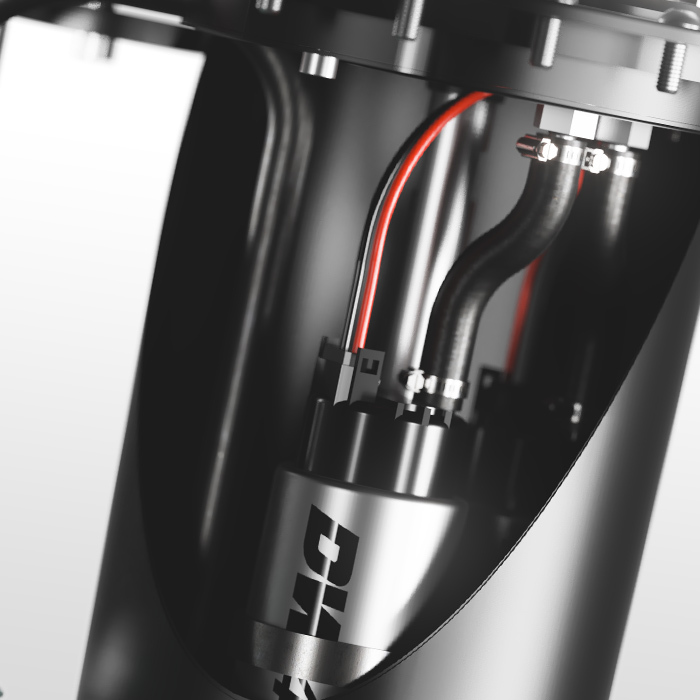 The idea of putting the Surge Tank into the fuel cell isn´t new but we have made it in a much lighter version, with the possibility to choose fuel cell, fuel pump etc for yourself without compromising or being limited. The internal volume of around 2 liters making it effective yet small enough to make it fit some of the smallest ones of Fuel Cells from the leading brands. 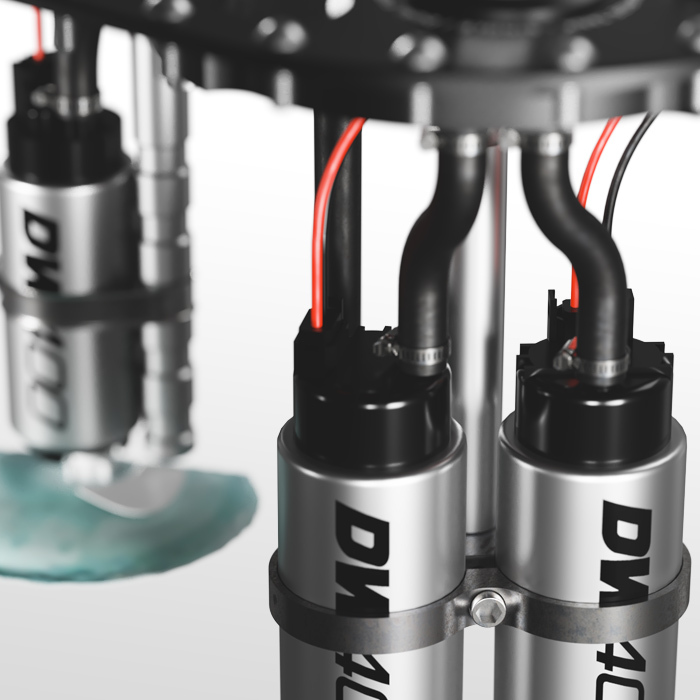 With the internal billet brackets you have a easy, functional and effective installation procedure to put high flowing fuel pumps into the Swirl Pot from brands such as Deatschwerks, Walbro, AEM, Bosch etc. Made to match the market leading Fuel Cell manufacturers most popular performance cells. 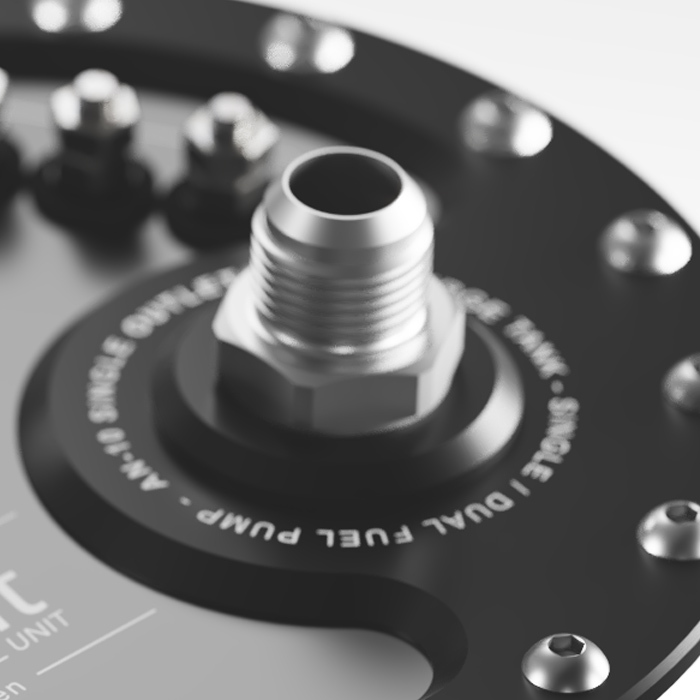 The CFC Unit is used to minimize the risk when running on low fuel level, that the system not cope with the demanding g-force that can occur within motorsport, which results in fuel loss. With the CFC Unit you do not need a external Surge Tank, making this a clean and efficient installation with minimum of wiring and tubing. * both is included, AN-12 is available as additional fitting. 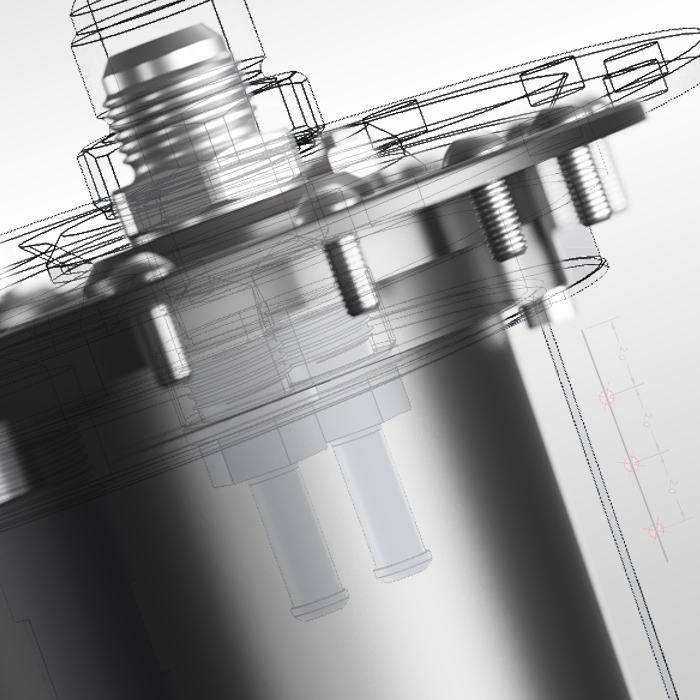 Single or dual fuel pump combined into one fuel line without pressure loss, this is thanks to our measured design. 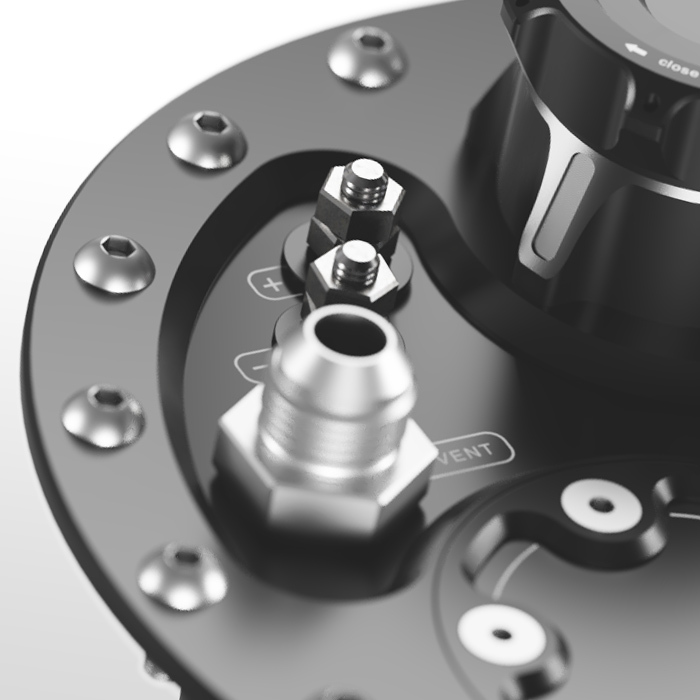 With the right dimensions and the right way to design the part from the beginning we combined the fuel lines from single or dual internal fuel pump into one outlet port. This makes that you need less fittings, hoses, filters etc. Why use more when you can both save weight and costs. With the 7/8 UNF outlet port you can choose from the included AN-8 fitting or the AN-10 fitting, your choice depending on needs and the fuel filter setup. We always recommend you to go with our 200mm Performance Fuel Filter with the suited 7/8 AN-10 fitting and its stainless steel 10 micron filter, do you get the idea now - Nuke Performance setup is possible to use with a single fuel line for up to even over 1500hp, and this with only a single fuel line. The Nuke Performance Competition Fuel Cell Unit, CFC Unit gives you the possibility to choose your preferred setup without the need to know of exactly how your fuel system is going to turn out - it gives you the possibility to choose - it all comes included. The Competition Fuel Cell Unit from Nuke Performance comes with the Billet fuel filler cap unit included ready to use with its own roll-over protection underneath. 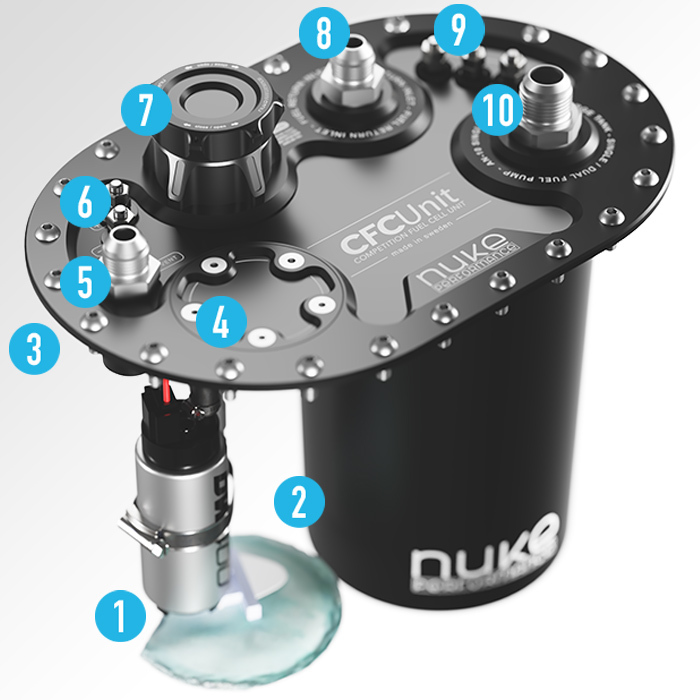 The Nuke Performance CFCU comes with everything you need for installation included in the package, such as the billet fuel filler unit with its billet cap. Perfect grip, lightweight construction and the strongest construction available for maximum security. If you prefer a non-direct fuel filler placement, we also have a fuel hose connector for 50mm hoses. This fitting is additional and is for those who wants the fill neck to be able to connect to additional fuel tank refill hose. 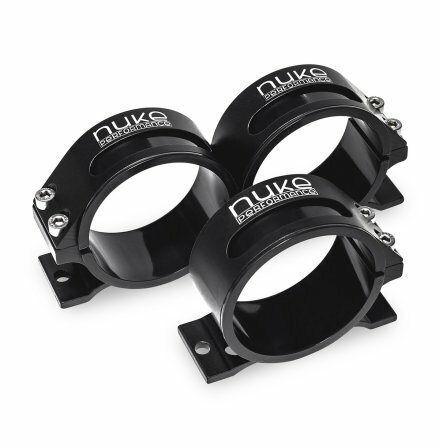 The Nuke Performance CFC Unit is not intended to be used with Quick Fill Setups, neither with the included filler neck or the additional 50mm fuel hose fitting. The additional filler neck is made for 50mm hose and is made for hose clamp connection. When you combine performance with our distinctive design philosophy, you get results that exceed expectations. 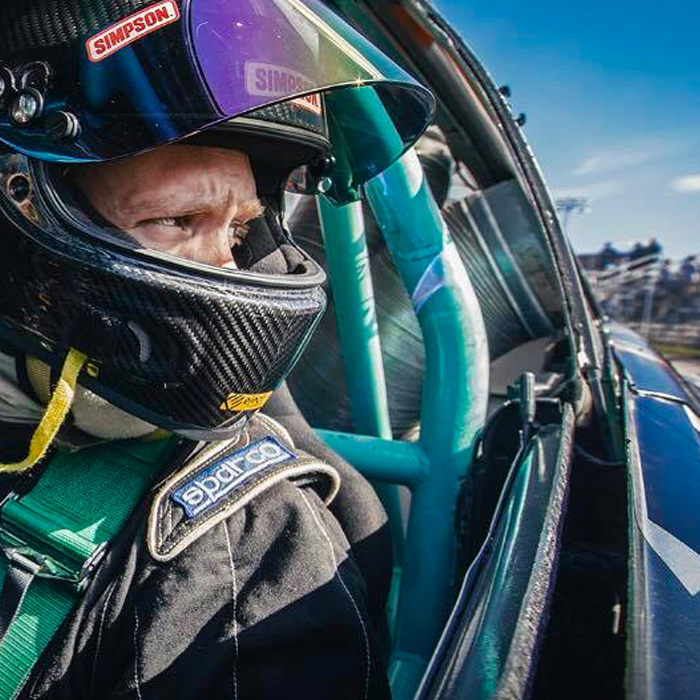 When it comes to motorsport, either if you are a professional or if you just that guy that spends all your time on track days - to hunt weight in every possible way is as effective as turning more horsepower. With our design of the Nuke Performance CFC Unit we managed to bring you a Surge Tank for integration within a fuel cell, lighter then anything else on the market, even up 30% lighter then competitors solutions. And as always, the parts that leaves us is doing so with a "Made in Sweden" label on them, we do not take any shortcuts when it comes to quality and finish of our performance parts and develop, design, construct and assemble in house at Nuke Performance HQ in Sweden. It makes a big difference - if you don´t believe us, get your hands on this unit and you will know what we´re talking about. 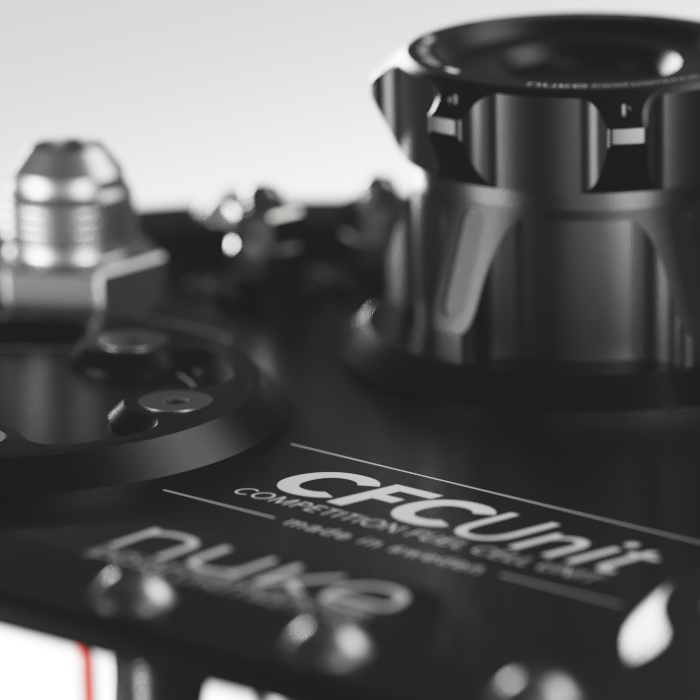 The Nuke Performance CFC Unit is developed in close connection with motorsport at its finest. When it comes to demanding needs - Mårten Stångberg from Team Lovetap knows what it takes. We asked Stångberg to join us in the development of our brand new CFCU and he didn´t even think twice. When building a competitive car for drifting you are always faced with the challenge to build a reliable setup that never let you down on track. 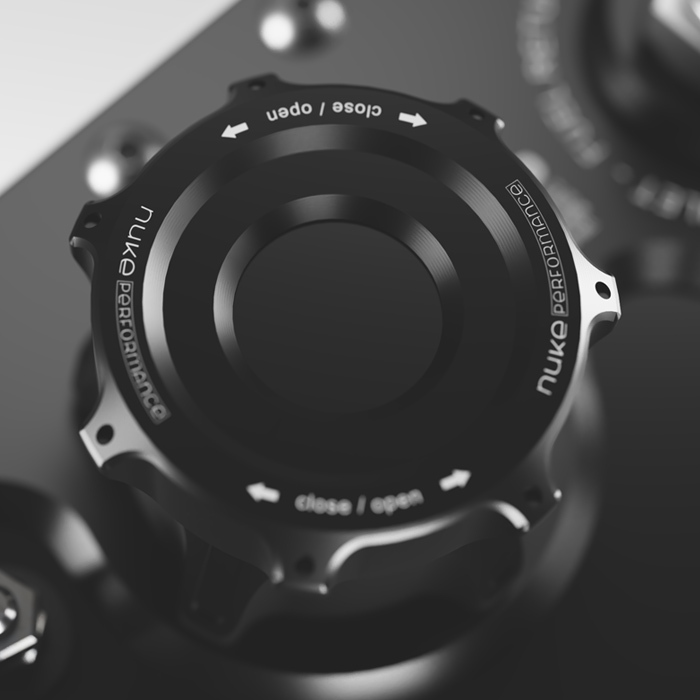 This is why I´ve run with Nuke Performance products on all my builds during my 10 years of driving and I still haven´t had a single failure... Now that´s quality at its finest!